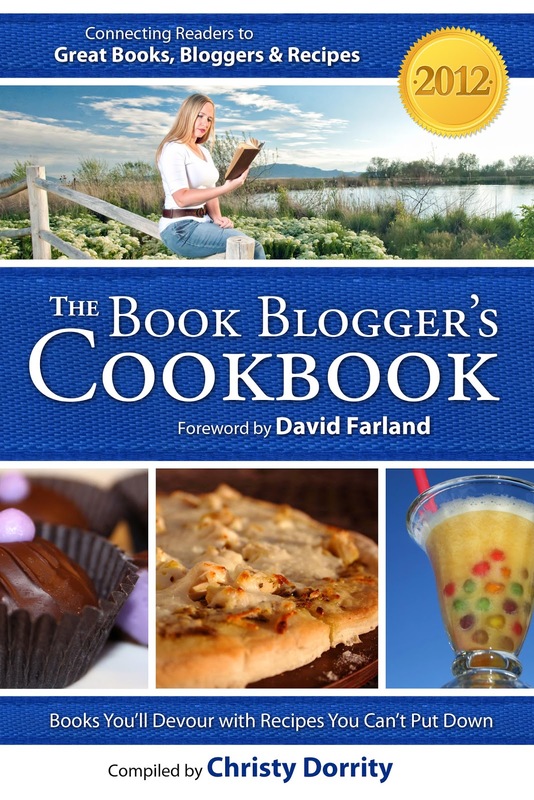 I am pleased to announced the publication of The 2012 Book Blogger's Cookbook! Stop by a different blog each day between May 7th and May 18th and enter to win great prizes. Over $200 worth of books! So many of the authors who have books featured in the cookbook have donated copies of their books for this giveaway (check back for an updated list). All you have to do is leave a comment with your email address on this post or any of the great blogs that are participating. Then, if you want more entries into the contest, tweet, facebook, or blog about the cookbook and leave a separate comment telling me what you did. 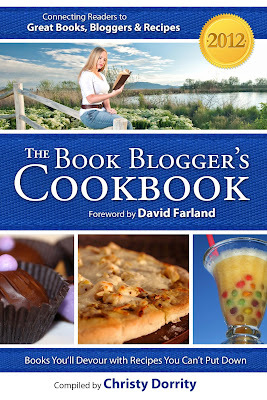 You can say something like: Win $200 of books at the launch tour of The 2012 Book Blogger's Cookbook http://tinyurl.com/6nqtxpp Winners will be drawn using random.org on May 25th. 5 extra entries: Purchase the cookbook during the book launch, May 7-18th, at the sales price of .99 cents. 10 extra entries: Create one of the recipes in the cookbook and blog about the experience on your blog. Leave the link to your post in the comments. But that's not all folks! For the first week of the tour, The 2012 Book Blogger's Cookbook will be available for only .99 cents. Watch for a surprise bonus on the last day of the tour May 18th. What a fabulous idea. Fabulous book. wow... great giveway fabulous book! It sounds like an awesome book! I think I'll have to check this out on amazon! My niece loves to cook and read. This might be a great present for her! I'm looking forward to seeing this - cooking and reading are two of my favourite things. I'm signed up for the 15th, but I noticed that you have no one for the 12th or 13th. You can move me to one of those days if it is helpful. And hooray for the chance to win $200 worth of awesome books! So looking forward to this book. I love cookbooks, and one written with book bloggers is even better. Sounds like a great book! I can't wait to try some of the recipes! What an awesome idea (the cookbook and the prize)! frisbyfamily at gmail dot com. Shared on FB http://www.facebook.com/andrea.l.frisby/posts/346364702096168 frisbyfamily at gmail dot com. Tweeted https://twitter.com/#!/legacy_vp/status/200605386456305664 frisbyfamily at gmail dot com. I blogged about it http://literarytimeout.blogspot.com/2012/05/2012-book-bloggers-cookbook-launch.html frisbyfamily at gmail dot com. I just bought it and have been looking through it. Looks like some great reciepes. Those books are amazing! I want to win them. guess this is the confirmation #D01-1409051-6499469 Keep up the good work, you are amazing! Nice announcement......My post is up on May 17....stop by if you like. Ooh! I want this cookbook. Fantastic idea! If I don't win this I'll be heading over to Amazon to get it!